Galahad Dumfries is the noble yet whimsical pet project of 3 Georgia-based designers. 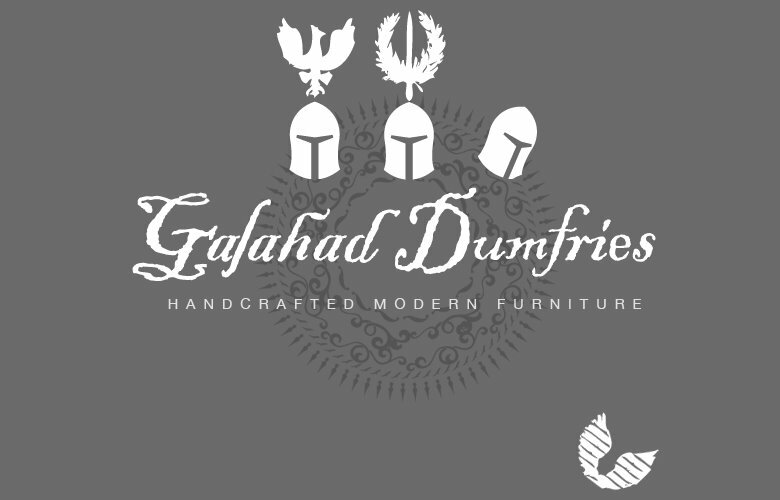 Would you like an original piece of furniture by Galahad Dumfries? We treat each piece we build as a custom order, and this allows us to match the exact specifications of our clients. So if you see a piece you'd like, but the size or stain color isn't quite right for your home, we can modify the design to suit your needs. If you're interested in a piece, contact us with any questions you may have. We'll give you a personalized price and shipping quote and estimated date of completion for your custom piece (usually it takes us about 4 weeks to have a piece ready for delivery). If you agree to our quote, we'll send you a payment request through PayPal and get started on building your piece. We also maintain an online store on Etsy, so feel free to browse there as well. Thanks for visiting!